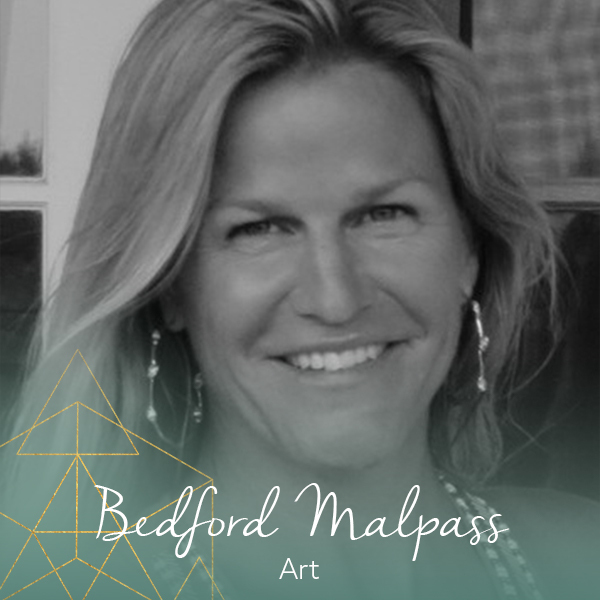 Bedford has been painting in oil, watercolor and acrylics for more than thirty years. Previously, she was the founder of Exit West, a graphic design firm in San Francisco which created corporate identity for Fortune 500 companies. She was the art instructor at the Boys and Girls Club where she worked with troubled children through art therapy. Additionally, Bedford has taught colour theory, life drawing, graphic design and painting techniques.